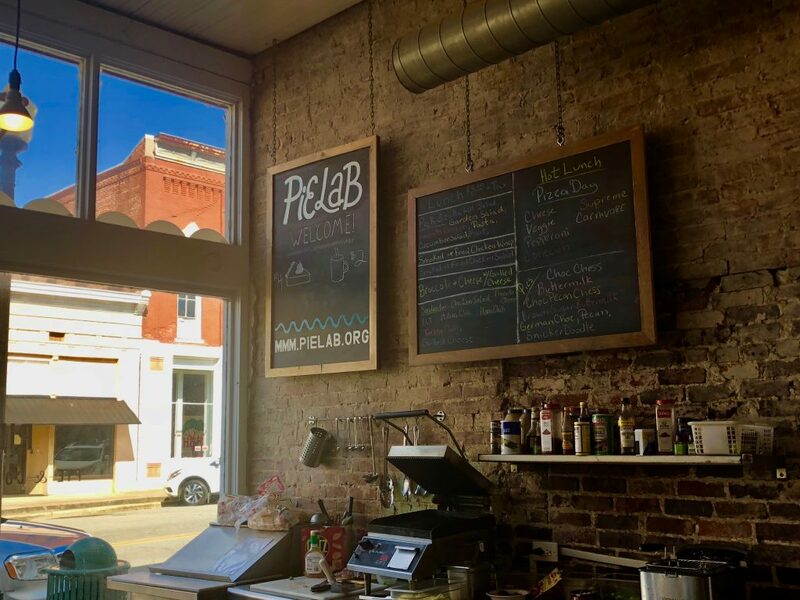 On a recent day trip to Selma, Alabama a friend and I decided to drive through Greensboro, Alabama to have lunch at PieLab. I have been wanting try the restaurant for a while because they are especially known for their homemade pies. Named in honor of Nathanael Greene an American Revolutionary general, Greensboro was founded in 1823. It is located in the Black Belt, an area known for rich, fertile soil. 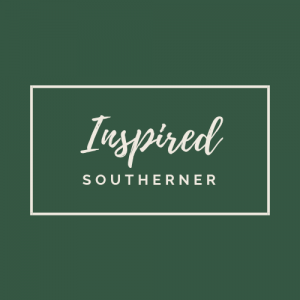 Since the 1920s Greensboro has been known as the catfish capital of Alabama and is the center of Alabama’s catfish industry, which has grown into a $488 million industry. 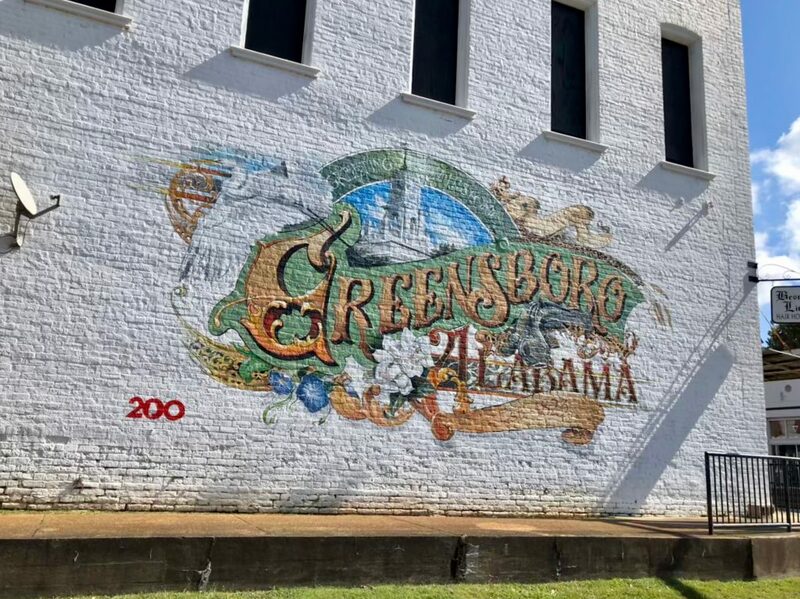 As you drive into Greensboro on Alabama Highway 69 from Birmingham you will see newly painted murals on the side of buildings on Main Street. Turning left onto Main, PieLab is on the right. 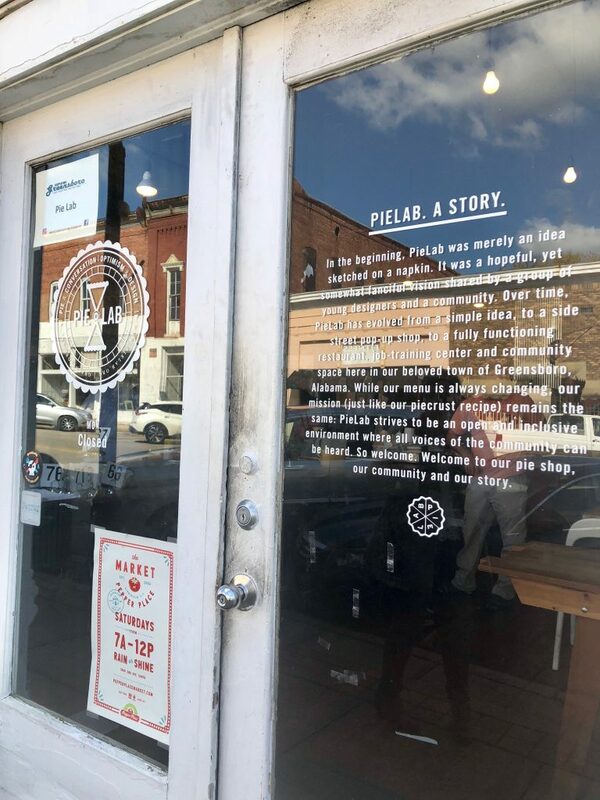 Seaborn and Kelley Whatley own PieLab. The restaurant looks to be located in an old five and dime store or pharmacy because of the long counter. 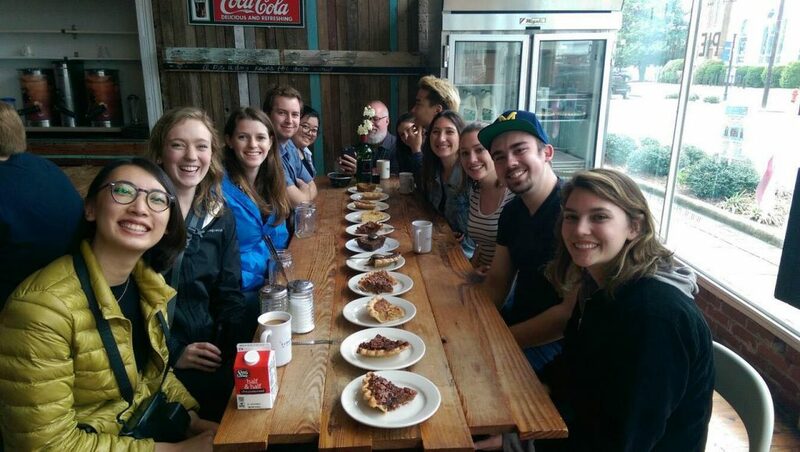 There are no individual tables, but long community tables. You choose what you want to eat from the menu written on a chalkboard above the counter. 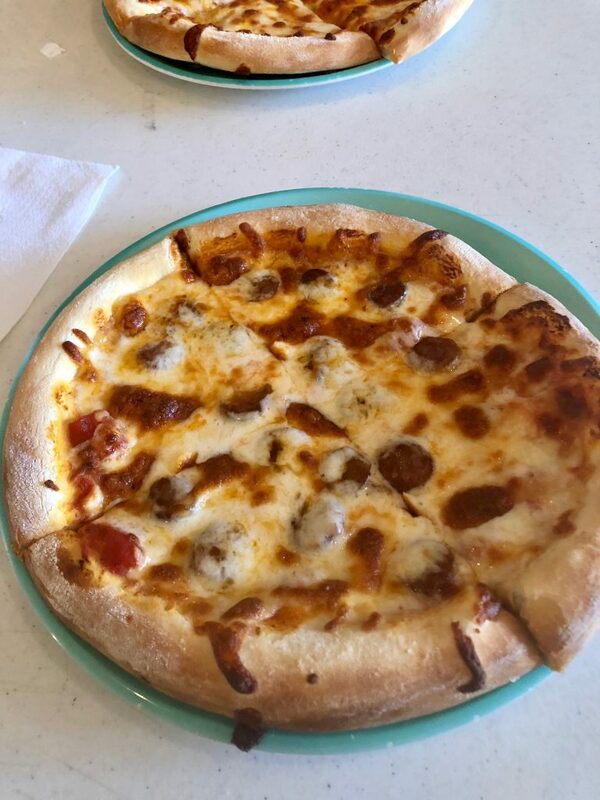 The special of day was individual homemade pizzas so my friend and I chose the special. I chose the Conecuch sausage pizza. Guests get their own ice out of an old Coca-Cola cooler and choose their drink. The pizza was good, especially the crust. 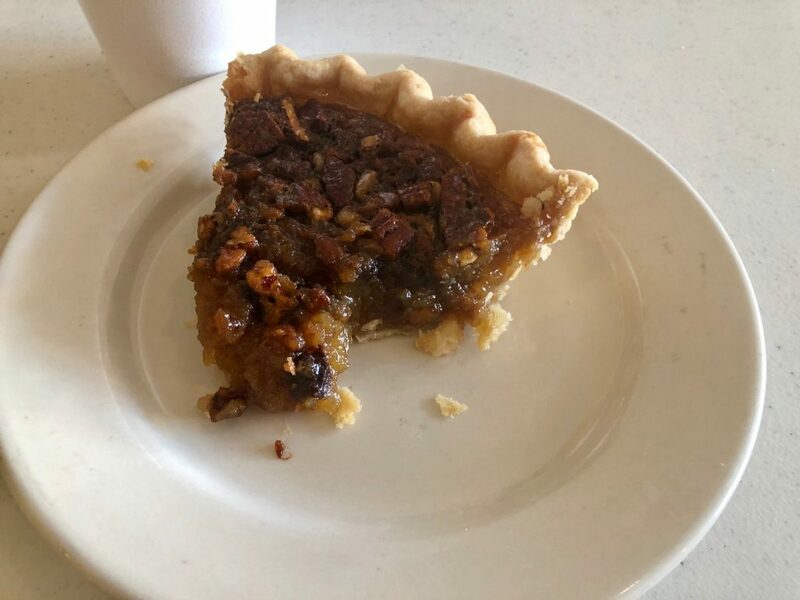 I couldn’t leave the restaurant without trying pie, so I tried the chocolate pecan pie. Everything I had heard about the pie was true. After lunch we spent a few minutes walking around the main street. There are a few boutiques on main street, but they had closed at 1:00 pm. A new coffee shop was open on the other end of town. 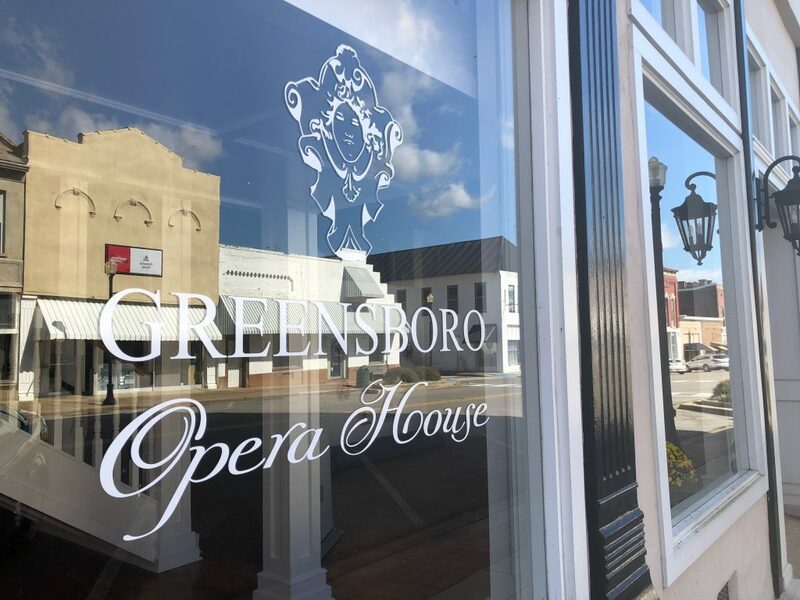 The historic Greensboro Opera House is in the center of town. The town formed a committee in 2003 to raise money to restore the building. The opera house is used for performing arts, art exhibits and lectures. Singer songwriter Tim Higgins of Detroit recently filmed part of his music video ‘Blight’ at the Opera House. Order Your Holiday Pie Now! 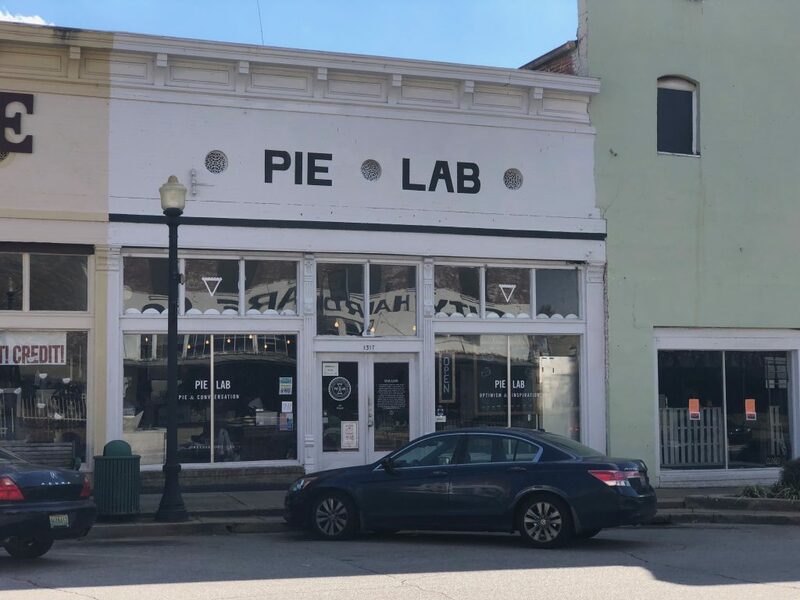 PieLab sells and ships pies all over the country. 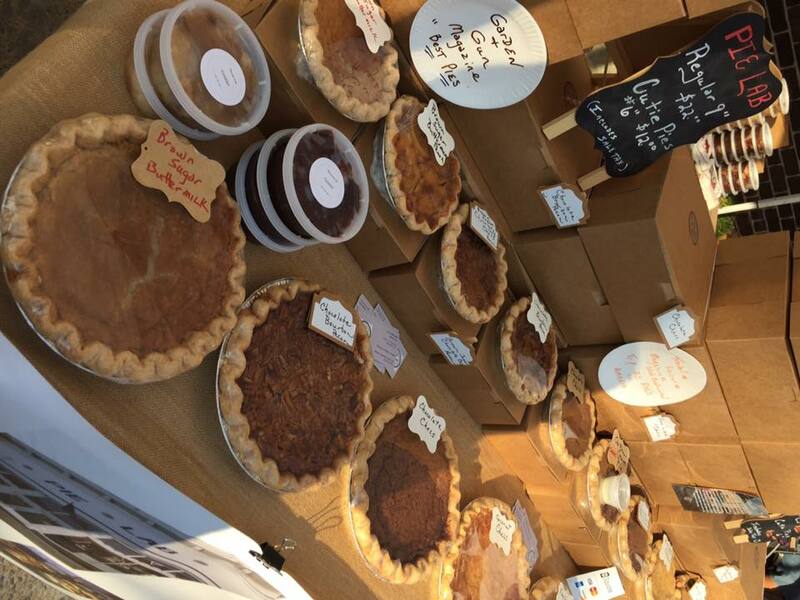 PieLab also sells their pies at Pepper Place Market (a Saturday farmers market) in Birmingham, Alabama. You can buy one at Pepper Place now through Dec. 8. However, if you want one of their famous pecan pies to serve at Thanksgiving, you need to place your order by Nov. 16. 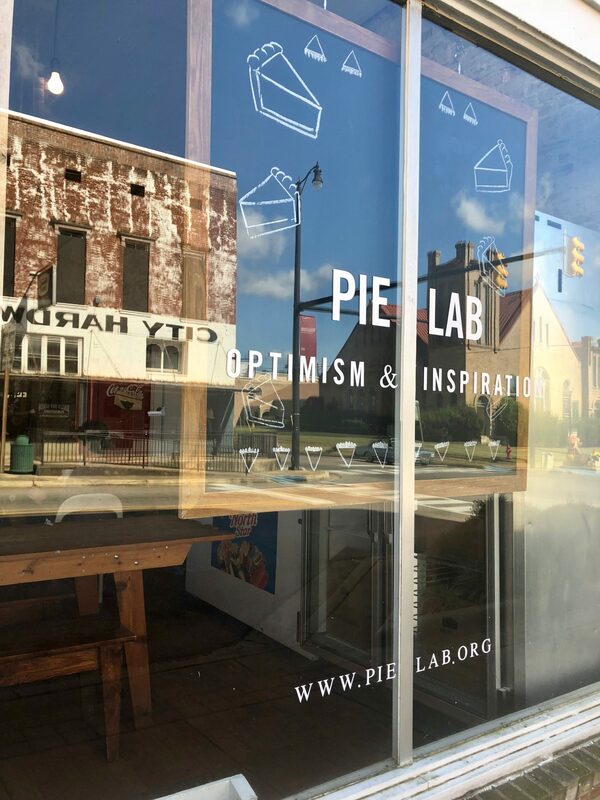 If you like to explore quaint, small towns, Greensboro is one to definitely add to the list and while you’re there stop in for a piece of pie and a joyful conversation.